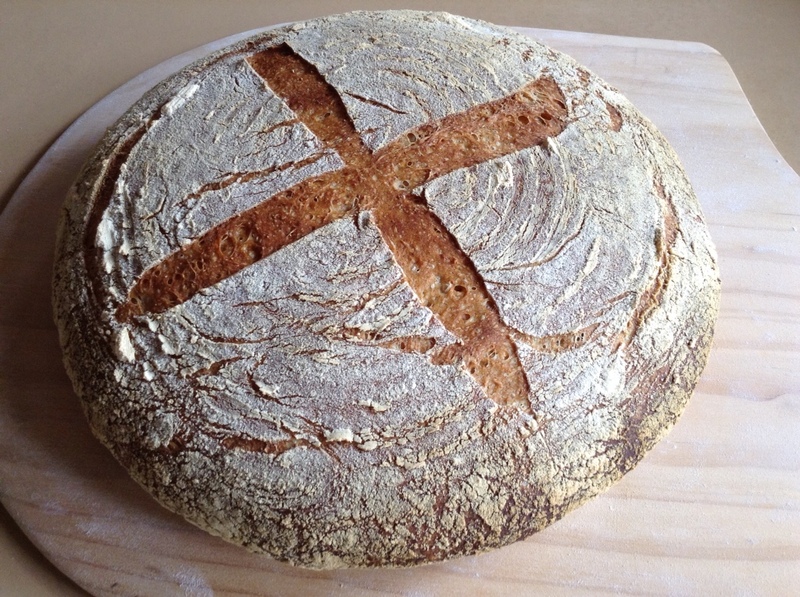 My latest bread effort – ‘Levain de Campagne’, white with some wholemeal and rye. It is based on Emmanuel Hadjiandreou’s recipe in his book ‘How to make bread’. This is the third time I have tried this. The first time I used plain white flour and the dough was quite wet. The loaf collapsed during cooking and looked a bit like a thick pancake – it tasted great, but wasn’t the loaf I wanted. Most bread recipes say to use strong or baker’s flour, so I tried some of that the next time. It really didn’t make much difference. 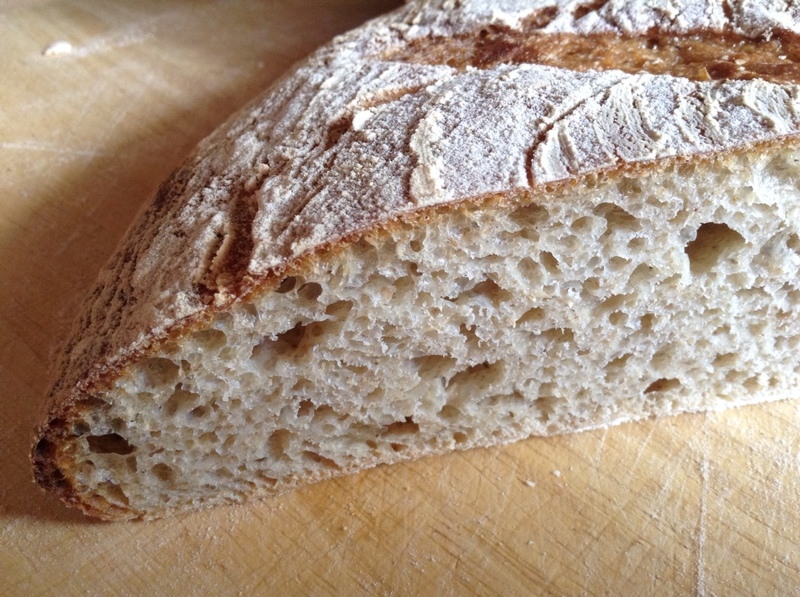 For the third loaf (pictured), I used less water (290g instead of 300g) – the result was much better. The dough was still sticky, but not so much. It still didn’t have that silky look that the photographs in the book had. I decided to try and see if anyone else was having problems and an Internet search located a list of errata here. These suggested that the amount of water should be between 250g and 300g depending on the flour. American flour has a higher protein content than European flour and requires more water – nothing about Australian flour. Another post on the same website suggested that professional bakers test each new batch of flour to determine the correct amount of water to add. I guess I have a lot to learn. I too have used this recipe. and yesterday produced a loaf which collapsed and resembled a thick pancake! Fortunately, I have just read your post, and I will try maybe 250 ml water next time. I have used several of Emmanual’s recipes with success,the baguettes are fantastic but there are unfortunately there are some errors in his book. I am in the UK using French Bread flour straight from the mill. Hopefully the next loaf will be better! My book has wholewheat at 100g too but I’ve seen others doing this recipe with 150g wholewheat. No mention of altering the recipe either so I think some older edition books have this error. Makes sense as our UK flours (where Emmanuel Hadjiandreou is based) can’t handle these very high hydration doughs.